Why the unusual ceremony? you might be asking. Well, my visitor today is Lin Treadgold, and a few weeks ago Lin was shortlisted for The Guardian’s Not the Booker Prize, alongside such luminaries as Neil Gaiman and John le Carré. Exciting stuff! I’m thrilled to welcome Lin today, so let’s get the kettle on, sedate the dog with a massive slice of pork pie, and welcome Lin to my unusually tidy virtual home! Lovely to have you here, Lin! Hello and thank you for inviting me for interview. Whereabouts have you come from today? I have been living in The Netherlands for the last twelve years. It’s been a struggle learning the language and being part of the Dutch culture. I used to live on the other side of the North Sea on the edge of the North Yorkshire Moors and here in North Holland, everything is very different. There are no hills to climb and the culture has to be learned and that takes time. I hope to return to the UK once my husband is retired in about four years’ time. It’s been quite a learning experience and although I am glad I did it, I can’t wait to have a choice of places to live in the UK very soon. Where is your favourite place in the world? This is such a good question for me. I have travelled extensively during my life. I used to travel by sea and visit the Far East and Africa. I have been to over 30 countries. I have to say and I am probably being biased here, but the UK has so much to offer in terms of sightseeing and community spirit. I love the North Yorkshire Moors, but my most favourite place from where I returned just a few weeks ago, has to be Cornwall and the Isles of Scilly, especially the islands. The people of Scilly are 100% tourist friendly and happy. It rubs off on you and as a visitor you feel wanted and special. I think Cornwall and Devon have to be my first choice when I return to live in the UK. Goodness knows where my life will take me soon. The Cornish coast is wonderful. I’ve never been to the Scillies but they’re now on my travel list! Being a writer is a great job. What’s the worst job you’ve ever had? I can honestly say I don’t feel I have had a ‘worst job’. I am lucky in that my life has always been full of positive things. I became a driving instructor in the late seventies and had my own driver training school, training the instructors and learners. I continued for 25 years until I retired early to join my husband and his new job in Holland in 2001. I was trained as a secretary and probably found that more boring than any of my other jobs. Fortunately I was able to use the skills for being self employed and it paid off. What book do you wish you’d written? There are so many good books on the market these days; it’s hard to say. I was never a reader, always a writer. I suppose that comes with my interesting lifestyle and extensive travel. These days I do read and probably have a lot of catching up to do. I think I would like to have written children’s books. Perhaps I will one day. In the meantime, I enjoy all the novels of my colleagues within the Romantic Novelists’ Association. If there is one book I wish I had written it would be ‘Her Fearful Symmetry’ by Audrey Niffenegger. I really enjoyed it. I think the author has all these amazing ways of putting together a clever novel. What’s your favourite song? Well, since having been to the Isles of Scilly in July, I have become a great fan of the Cornish sea shanty group, Bone Idol. They are amazing singers born out of the local male voice choir. They sing ‘Cornwall my Home’ and it keeps going round in my head since I returned home. You can watch them on YouTube http://www.youtube.com/watch?v=ny47n4EJMlM. They obliged me by singing their songs at the live launch of my book, Goodbye, Henrietta Street. My taste in music goes back a long way. I love Carly Simon, Bob Dylan, Pink Floyd, to mention just a few. Thanks for the link. That’s a stirring song. Great singers. If you could meet anyone in the world, dead or alive, who would it be and what would you say to them? My virtual best friend has to be Richard Branson. Without him, I don’t feel I would have got this far. I read one of his books many years ago and through his motivational words I found the strength to start my own business and become a success in life. It was through his life story I realised you can be anything you want to be if you know how to get it. I think I would have to give Richard a big kiss and a hug for all his strength. I think I must have applied this to my writing because I got there in the end after ten years. What’s your happiest childhood memory? I have to say a theatrical mother dominated my childhood. As a result she spent much of her time with her stage friends and putting herself in the limelight. She was on TV in various plays and never really became that well-known, but delighted in telling everyone about all the famous people she had worked with. When I was about nine years old, we had two St. Bernards and my father and I used to spend time on the beach at Saltburn by the Sea, each Sunday, walking the dogs, which turned heads as we sauntered along the wet sand with Bruno who was also a dog TV star. It was our time together, father and daughter. When I look back, this image always comes to mind. That’s a really lovely image. I can picture the scene now, with the sea, and the dogs. If you had to marry a fictional character, from film, television, or books, who would it be? Well, the first person that came to mind was Historian, Michael Wood, but he’s not fictional! I had to mention him though. He always has a smile on his face and I’ve ‘loved’ him since he first came on TV all those years ago. I think we have rather ‘grown up together’ and he’s still just as gorgeous as ever. Fictional you said? Everyone tells me that Sven Jorgensen in my book is everyone’s ideal man. So perhaps someone like Sven, kind, generous, and loving. All my RNA friends have delightful characters in their books; I could have married every one of them! What’s the most important lesson life has taught you? Never give up, always believe in yourself. I know for some people that’s a hard thing to do. My advice would be to read books on motivation. I have proved time and time again that you can be anything you want to be and you can get it if you ask. Never be afraid to ask! If you are a novelist and scared of promotion, go to workshops on the subject and learn more. Do some role-play and with time you will feel proud of yourself. I suppose with my mother being an actress, she was very outgoing in her personality. In a way I am like this, except I have had the experience of being in business and making a name for myself the hard way. Mum seemed to come to a grinding halt, she was an artist as well, and she lacked the understanding of what promotion was really all about. She relied too much on other people to do it for her. Don’t be afraid to get out there and make sure you have a goal to chase. Don’t stop until you get what you want. I feel very proud of myself now and will continue into the future knowing I can do this. Good for you, and great advice. 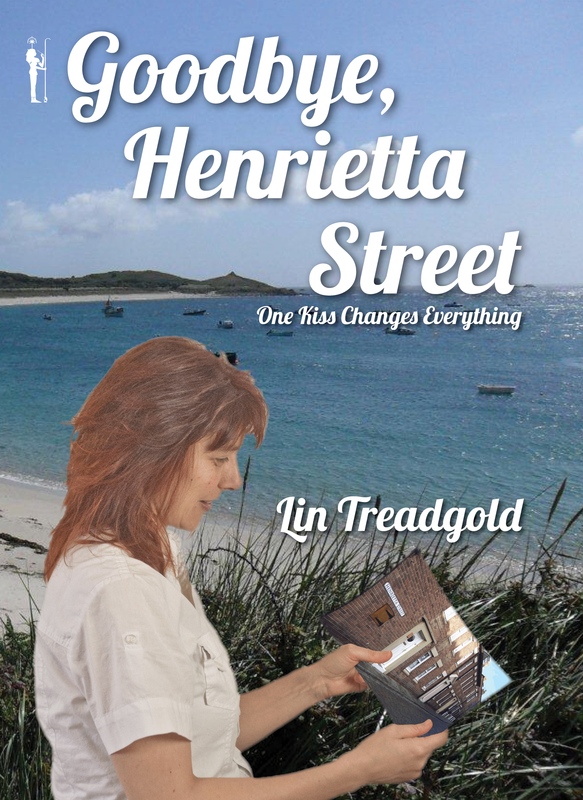 Goodbye, Henrietta Street is a holiday read. It’s a book you can pick up and enjoy immersing yourself into the lives of five characters. Pippa, Rob, Sven, Joan, and Terry. If you enjoy reading about wild places and romance, then go to Amazon and Look Inside this Book. Pippa Lambton’s life has fallen apart and husband Rob is ready to give up their marriage. Three years before, their son Daniel passed away; he was the glue that held them together. Now, Pippa’s left home for the beautiful Isles of Scilly, for a chance to rediscover herself. She meets handsome Norwegian nature warden, Sven Jorgensen, who teaches her about the island wildlife. Pippa finds herself laughing again. She is aware of Rob’s dilemma over his childhood adoption and their turbulent relationship, but after an awkward kiss with Sven, she is torn about how to proceed. There is much to resolve, and leaving Rob could prove a disaster. Is her affair with Sven a holiday fling? How can she walk away from Rob after losing Daniel? Should she leave her home in Yorkshire for Sven and his island paradise? Copies may be ordered through Amazon and Smashwords. Mumford’s Newsagents, St. Mary’s and Air Fare airport lounge, on the Isles of Scilly are stocking the book if you are on holiday. If you have any questions for Lin, or any comments at all, please let us know. We’d love to hear from you! Enjoyable interview Lin. Best luck. Thanks for dropping in Rose! Great interview! I’m jealous of all your travels, Lin. It sounds amazing! Thanks for coming by, Heather. Lin’s travels do sound awesome. I’d love the chance to learn another foreign language. Thanks for your comment! Sounds like a lovely read. One that you can settle by the fire with a hot cup of tea and lose yourself in the story. Good luck with the novel. Your book sounds very interesting, Lin. Best of luck with it. Haha! Don’t worry , Leona, I’ll even clean the windows :) And there’ll be cake! Looking forward to your visit! Fascinating interview Helena and Lin. Your novel sounds wonderful Lin, and I look forward to reading it. I have never been to Scilly but I absolutely love Devon and I often think that if I moved one day I would go to live there. I am particularly fond of Lyme Regis…I sometimes think that I must have lived there in another life! Hi Marie, I’m so glad you said you like Lyme Regis. We are planning to spend Christmas in that area. I’ve never been there, and have always wanted to visit. Lyme Regis is the setting for Persuasion and The French Lieutenant’s Woman, and I’ve always wanted to see it in real life. Thanks for your comment – I definitely want to visit it now! The Isles of Scilly are a great setting for a novel. My husband and I spent a lovely holiday there and they are so tranquil and beautiful and everywhere is so walkable. Michael Wood is also a good choice! I always make a special effort to watch a history programme when he is presenting. They do sound a wonderful place to visit, Tina. Britain is “only a small island” (collection of islands! ), but there’s so much of it to explore. Your holiday sounds really romantic. Thanks for your great comment! Very interesting interview, ladies. I love how you comment along, Helena. I must remember to do that. Gives it all such a homey feel. I’m always afraid I’ll say too much. LOL Easy for me to do. Lin, I admire you being able to go with your husband to such a different country and for so long. Your positive attitude is inspiring. Good luck with this book. The field of sunflowers sounds gorgeous, Tina, like something from an oil painting. This isn’t how I imagined the Scilly Isles at all. Now I’d really like to visit! To everyone who’s taken the time to comment, thanks very much! I’ve tried to contact Lin several times to tell her, but have had no luck getting through, for some reason :( I hope she arrives soon. Plenty of biscuits for us now, though, on the positive side!